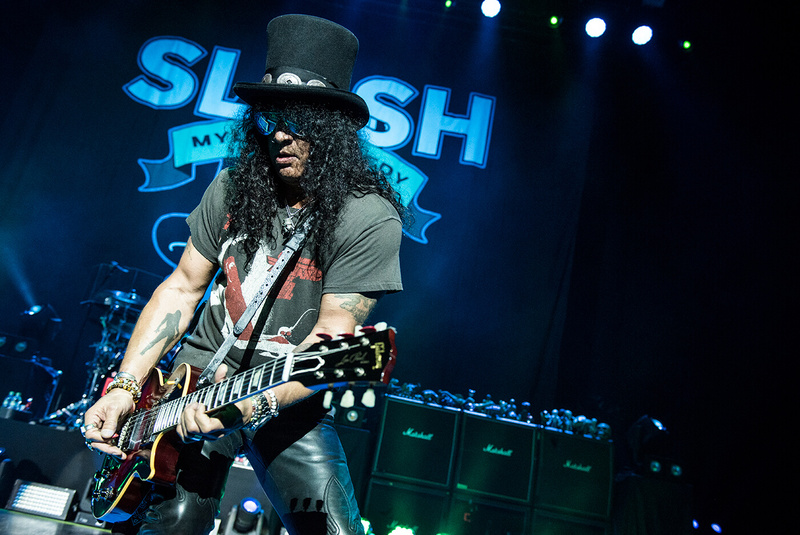 The last few years have been some of the most eventful in Slash’s remarkable career. After decades of acrimony he finally took to the stage with Guns N’ Roses again, the guitar company with which he’s become synonymous went to the brink of oblivion and back again – and finally, he closed in on a decade of his solo project. 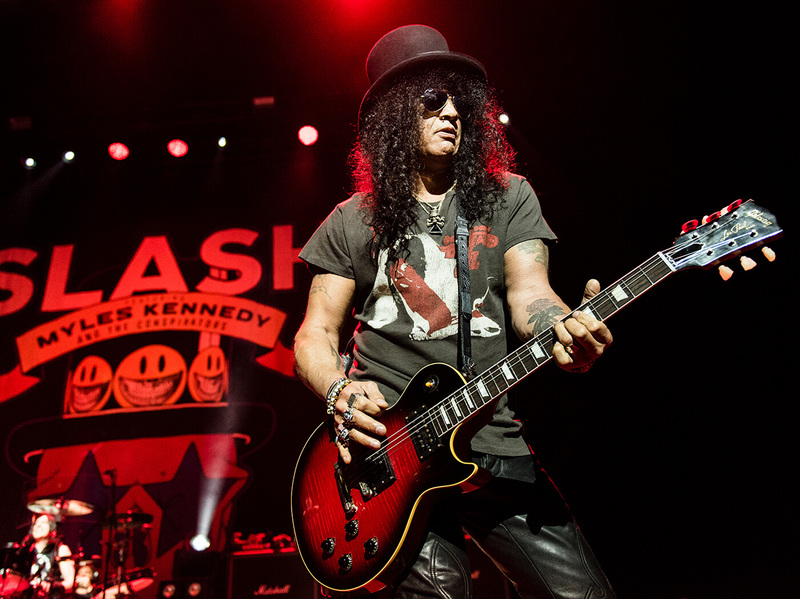 If you’ve been following Slash’s career since his 80s heyday, it might be surprising to note that it’s nearly a decade since he kicked off the solo project that became Slash feat. Myles Kennedy And The Conspirators. In that time, he’s released four varied albums (three with the Conspirators), and discovered something that he hadn’t truly found since he left Guns in the mid 90s – a home. The volume of work that he’s built up as a solo artist is reflected in the makeup of his current tour setlist, but his ‘other job’ also played a big part in his desire to focus on his solo material with The Conspirators. 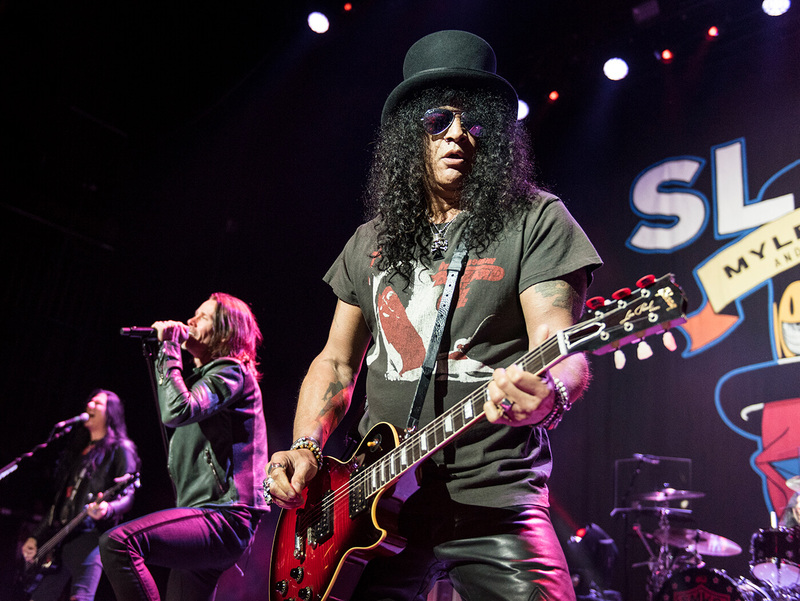 There’s definitely one band that there is a reason to play Sweet Child O’ Mine in, however, and since 2016, Slash has been taking the stage alongside Axl Rose and Duff McKagan for the first time since his first stint with the band came to an end in 1994. 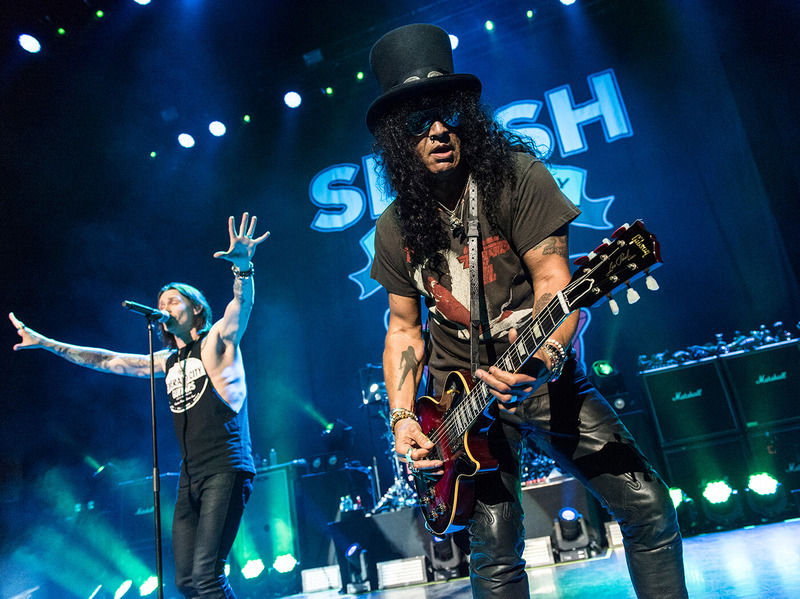 Touring Europe has an extra bonus for Slash, the opportunity to spend some time in the UK, where Slash spent the early years of his life. Revisiting his old stomping ground gives him a chance to reflect on the considerable impact those formative years in England had on the musician he’d become. “I didn’t know it at the time, but that was where it all started for me,” he reflects. “My dad and his brothers were huge rock ’n’ roll junkies – the kind of kids that pulled a record out and felt the texture of the sleeve, put it on the turntable and analysed every song – serious stuff! I was raised in that… and it was like The Kinks, Gene Vincent, the Stones, some Beatles, The Who was the big one, and The Yardbirds and The Moody Blues. “That was a very big part of my earliest memories, and then going in to London on the train and hanging out in the whole 60s beatnik scene that my dad was part of, crashing at their flats, doing all that! 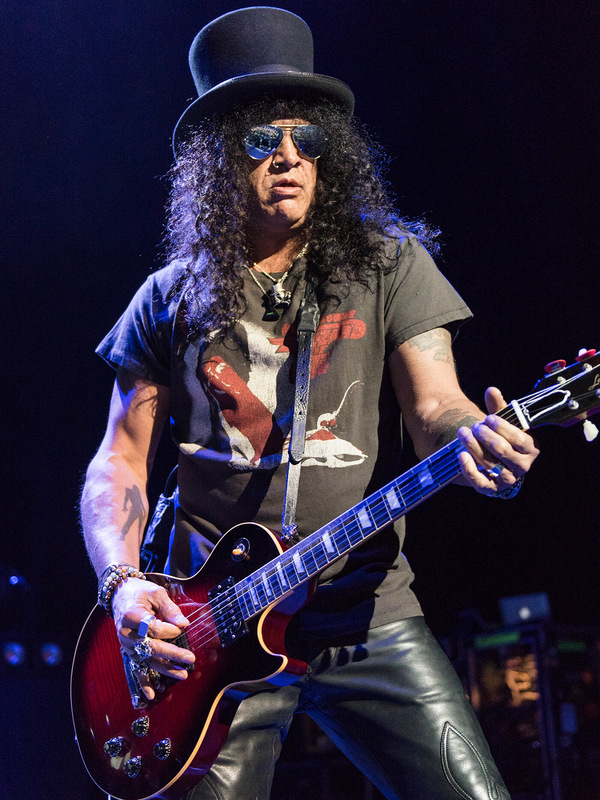 When it came to finally getting his hands on a guitar, Slash’s first experience was with the “one-string wonder” – an old Spanish guitar with a single string that his grandmother gave him. “That was my first discovery of being able to put fingers in different places and come up with something that you actually recognised,” he recalls. 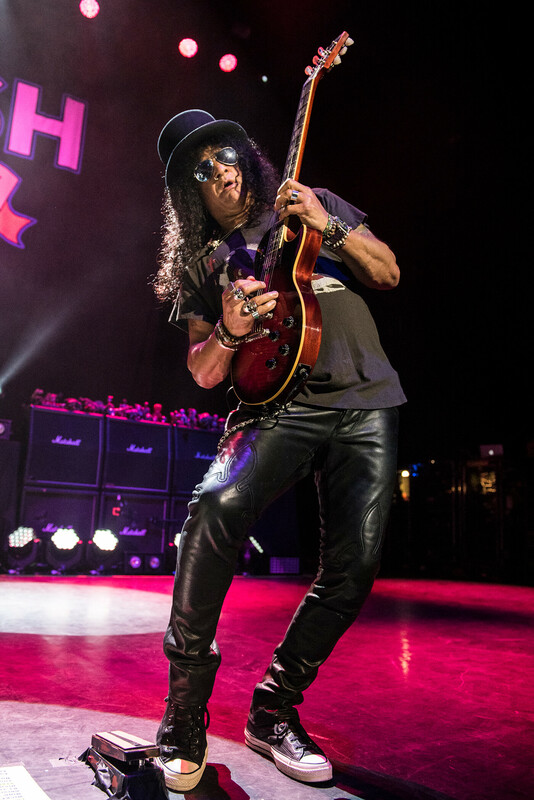 It’s entirely appropriate that the aforementioned epiphany happened on a Les Paul-shaped instrument, as in the decades since that experience, Saul Hudson has become arguably the most iconic Les Paul player of all. 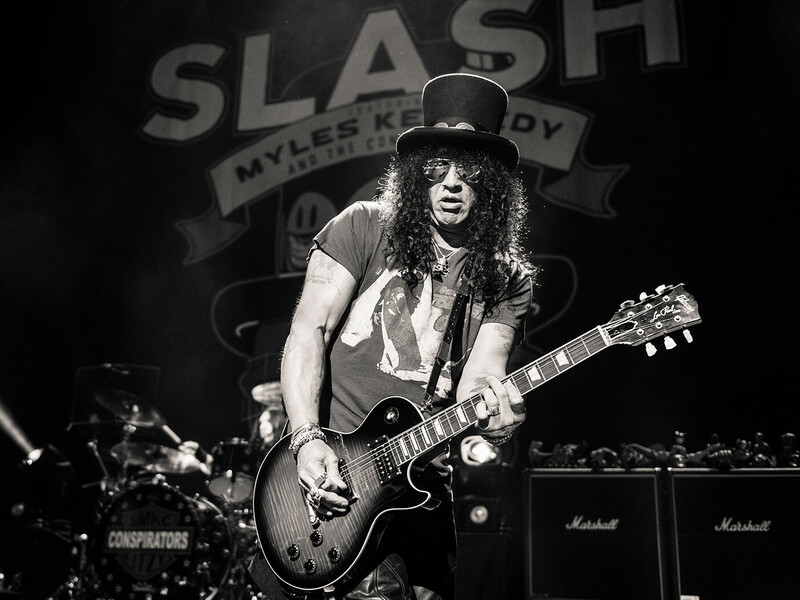 Indeed, his affection for Gibson’s iconic single-cut was so inherent in Slash, he can’t even recall the moment he first encountered one, it’s just always been the guitar for him. “I don’t remember when I actually first laid eyes on a Les Paul,” he admits. “I just remember almost subconsciously thinking, ‘That’s a cool-looking guitar’. Because when I started, I didn’t know anything! With all that musical upbringing, and all those gigs I went to with my parents, I didn’t really know anything about how a guitar worked! Once he’d got one in his hands, however, that affection deepened, and Slash discovered that the guitar was everything he needed it to be. 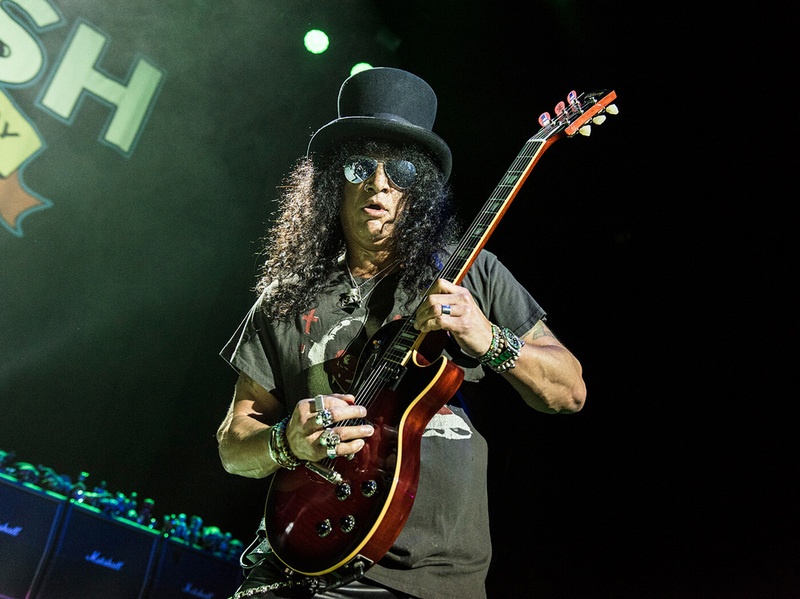 The ultimate rock ’n’ roll sound it may be, but when it comes to writing, Slash prefers to stick to one half of the equation – for reasons that are scarcely believable from one of the most admired guitarists of all time. “I was a little bit more relaxed and a bit more willing to not rush through it,” he explains. “On previous Conspirators records – it’s been very much, ‘Just pick this guitar up and do it!’ But Living The Dream I did at my own studio, and I pulled some old guitars out and started using those. It’s funny, for a lot of the record I ended up using a ’56 Goldtop, which had soapbars in it – I used that for a lot of the record. 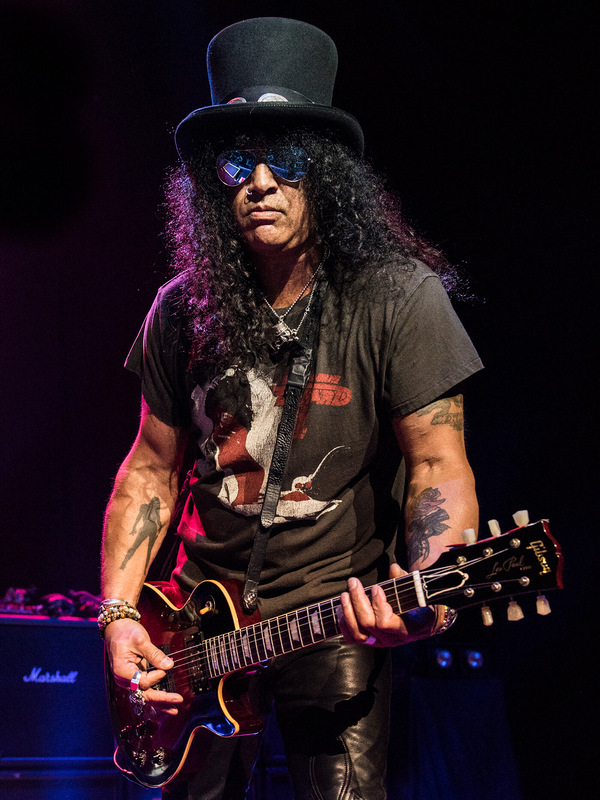 For a man who loves his Les Paul so much, becoming a Gibson ambassador must surely have been a dream come true for Slash, but in reality, things were not well with the Nashville company, with the business in the midst of a challenging period that culminated in a bankruptcy filing in 2018. News of the company’s financial woes took many guitar players by surprise, but as someone who was very close to what was going on in Nashville, Slash had sensed something wasn’t right for some time. “I think I was always aware of certain changes,” he reflects. “Not so much in Gibson proper – it was just that there were all these new divisions being added. Amendments to the company that were unnecessary, stuff that I didn’t really see the vision for. But I was like, ‘Eh, whatever!’ because it wasn’t affecting what I do. The “inevitable” was Gibson filing for bankruptcy in May 2018, which led to the installation of a new CEO in former Levi’s man JC Curleigh, plus a brand-new management team whose job it was to get the company back on its feet and return it to its core message as an iconic guitar company. The ‘new’ Gibson made its debut at NAMM 2019 with an overhauled range of guitars that seemed to put the focus squarely back on giving Gibson lovers modern takes on the company’s most iconic instruments. 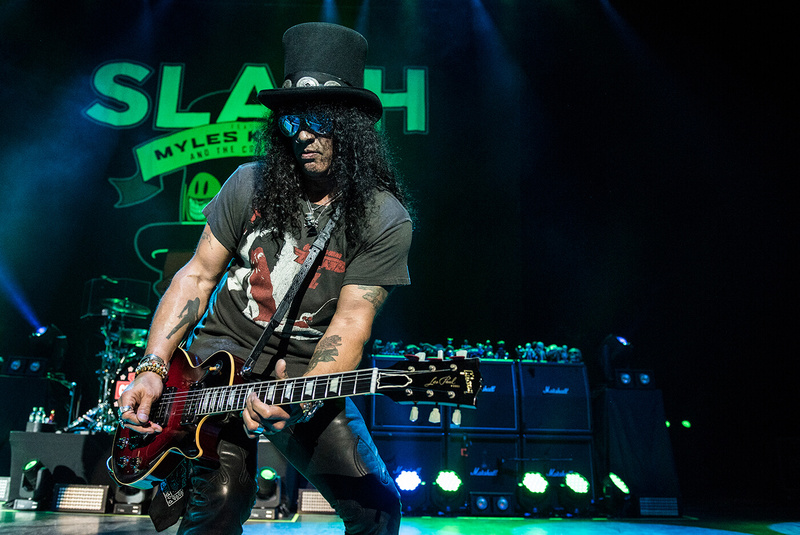 The press and fans were certainly impressed, but has Slash been equally smitten? 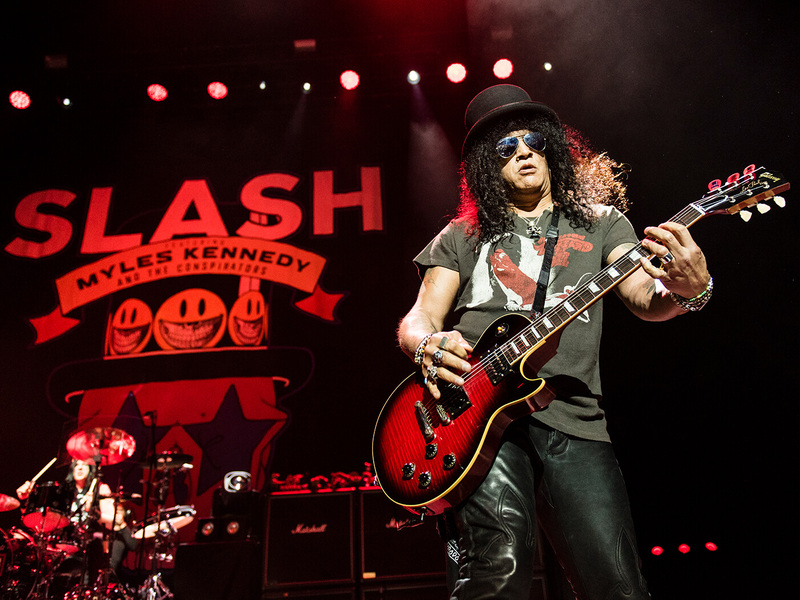 Slash reveals that took the overhauled Les Paul models out on tour with both Guns N’ Roses and on his solo tour, and came away suitably impressed with how the guitars performed on the road. 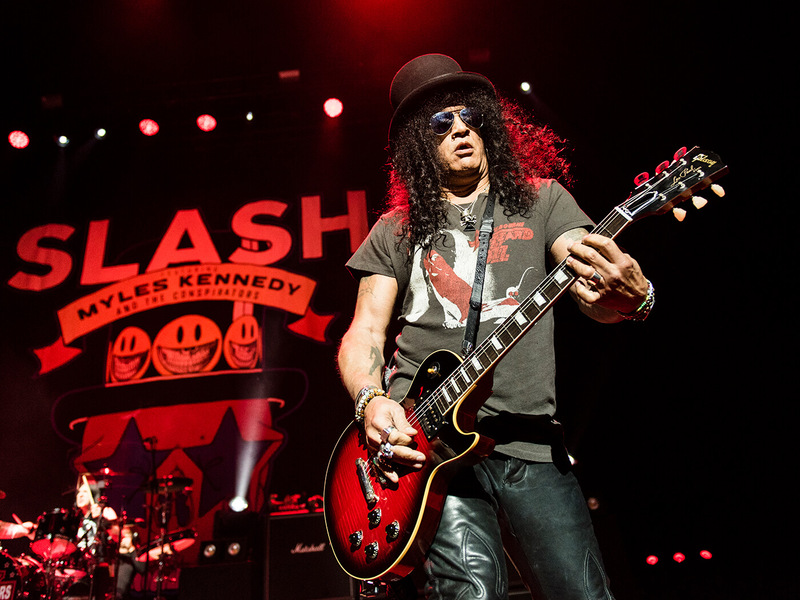 He wasn’t taking the new Gibsons on tour for fun, however – as Gibson’s most high-profile signature artist, it’s understandable that talks are now in the pipeline for a brand-new Slash signature model that will incorporate these new improvements. “I’ve always loved doing that. I haven’t been doing it much lately, because I’ve been busy in two bands, and I’ve also been doing the movie-production thing,” he explains. “We’ll see if anything comes up in the near or not too distant future. I loved doing sessions and I love playing with different people and all that stuff. Living The Dream is out now. 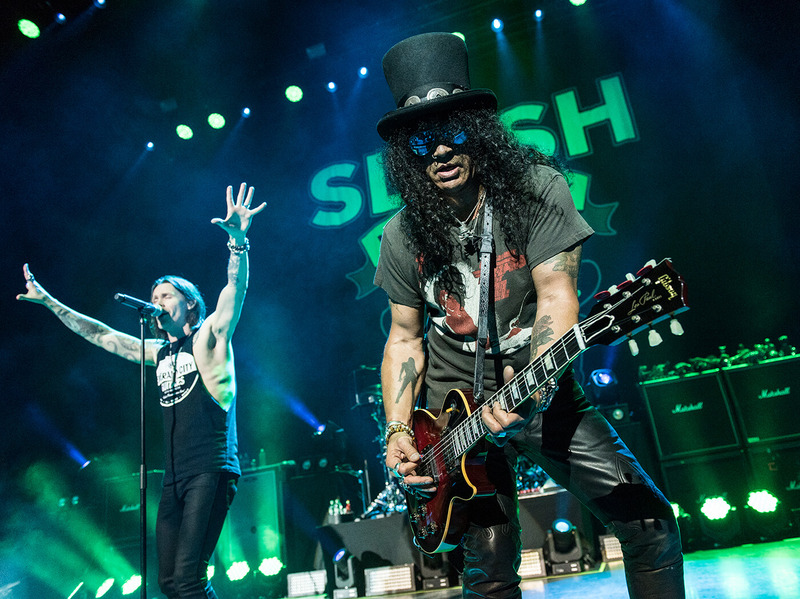 Slash plays the Download Festival on Friday 14 June 2019.